Check out the individual Volumes to purchase a la carte. 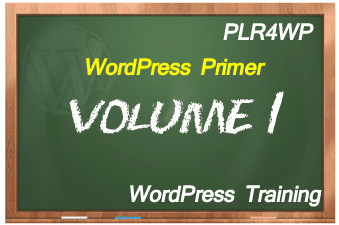 Ready To Begin Earning & Learning With WordPress and More? Step 1. Click the View Volume Contents button for each Volume you are interested in. 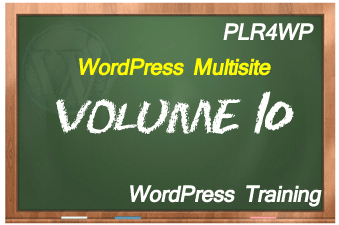 There, you will see the sample video & complete description of each video lesson within that Volume. [YES] Can Be Added as Streaming Content to Paid Membership or Training Sites That Charges $9.95 OR MORE! [YES] Can be broken into several products or combined with other products to create an even larger product. [NO] You CANNOT pass on any of the source files, ONLY web-ready products like PDF, MP4 or MP3 file formats. [NO] You CANNOT post the videos (edited, rebranded or not) on any publicly available video sites like YouTube, Viddler, Veoh…You can post on the PRIVATE access of these sites or your Amazon S3 or your own host. [NO] As per Udemy’s own terms of service (NOT MINE) You cannot use PLR as your course content.